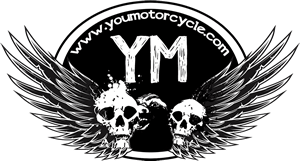 This page is Step 2 in our How to buy your first motorcycle series of articles. The series will walk you through everything from getting insurance quotes and your motorcycle license, to choosing the right motorcycle and how best to buy it, as well as finding motorcycle gear and accessories that fit you, your bike, and your budget. We recommend starting this guide from its Start Page. How much does a motorcycle license cost? The M1 beginner motorcycle license in Ontario costs less than $20. Where can I get the motorcycle license handbook for free? Click the link to find parts of the Ministry of Transportation motorcycle handbook here. G1 questions on the M1 written test – Remember that some of the questions will be from the G1 written test. You can practice the G1 test here. Where can I write my motorcycle license test? When you’re ready you’ll need to find a place to write your M1 exit test. To find a location, visit this link, and type in your postal code. Tip: Go early in the day, opening is best, as there are long wait times throughout the day. We’ve recreated the M1 motorcycle test on YouMotorcycle.com – now you can do the M1 motorcycle test online as many times as you want for FREE!